In 1968, President Lyndon B. Johnson signed the Colorado River Basin Project Act, authorizing the construction of what is today known as Central Arizona Project (CAP). 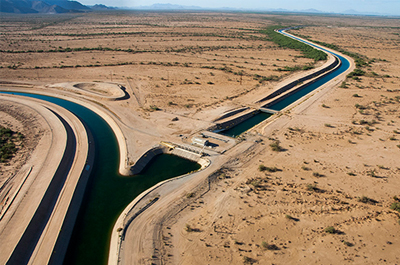 CAP is a 336-mile long system of aqueducts, tunnels, pumping plants and pipelines that delivers Colorado River water to central and southern Arizona, serving 80 percent of the state’s population. Those water deliveries have generated nearly $2 trillion of Arizona’s gross state product since water deliveries began in the mid-1980s. In addition to providing a vital water supply, CAP also values educating the public and youth about the importance of our water resources. CAP’s educational programs include classroom lessons, presentations and tours, and incentives for college research through the CAP Award for Research. Heather Macre, a popularly elected member of CAP’s board of directors, and partner at Aiken Schenk Hawkins and Ricciardi, will discuss how the Central Arizona Project is impacting our lives today and in the future. RSVP through Eventbrite. Light refreshments included. Heather Macre was elected to the CAWCD Board of Directors on November 6, 2012, to represent Maricopa County until December 31, 2018. 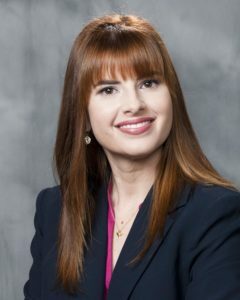 Ms. Macre is a partner at Aiken Schenk Hawkins and Ricciardi. She earned a BA from the University of Florida and a law degree from University of Florida Levin College of Law. Ms. Macre is a member of the Phoenix Environmental Quality Commission, Phoenix Sun’s Charities SC 88 and Board of Planned Parenthood Advocates of Arizona. Ms. Macre was born in Orlando, Florida and has lived in Arizona for eight years. She is married to Steven Kruczek. Ms. Macre enjoys reading and running.